Switzerland’s banks may be going through a time of change, as a global move towards the automatic exchange of information is putting an end to the country’s famed bank-secrecy-based business model. But for the second year in a row, the mountainous, land-locked home of UBS, Credit Suisse, Zurich Insurance Group and Julius Baer has come out on top of HSBC’s latest Expat Explorer survey of the “best all-round destinations for a career abroad” – as well as the top spot for expat paycheques. 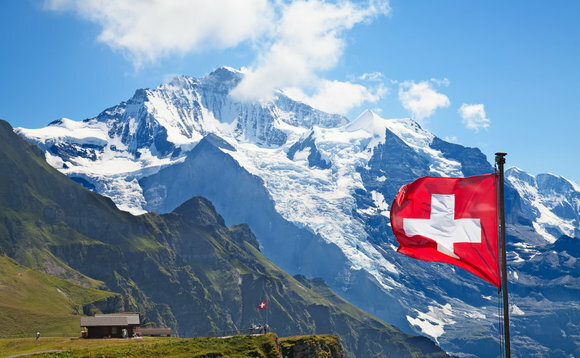 The average expat working in Switzerland earns US$188,275 (£153,462, €180,326) a year there, “almost twice the global average of US$97,419”, HSBC said, in a summary of its findings. Europe emerges from the research as the best region globally for pursuing an expat career, with three of the top destinations located within its borders. In addition to Switzerland, the other two are Germany and Sweden, the HSBC research shows. HSBC Bank International, the international arm of the London-based banking giant HSBC Holdings, has been carrying out detailed research into the global expatriate world for the past six years, making it one of the longest-running such surveys in the market, as well as one of the largest. YouGov carried out the most recent survey, which was conducted ahead of the UK’s Brexit vote last June, and which compiled the views of some 26,871 expats currently living in more than 100 countries. The UK, Austria and Norway made it into the top 10 for the first time in 2016, with the UK jumping nine places, to ninth from 18th in 2015. Expats living in Britain were found to be “among the most likely in the world to pick up new skills, compared to their home country (64%) and progress their career (62%)” during their stay. The work-life balance and work culture on offer in Norway and Austria were said to be behind those countries’ rapid one-year rise in the Expat Explorer careers league table. Eighty-seven percent of the expats living in Norway and 71% of those living in Austria said the work-life balance in their adopted country was “better than in their home country”, while 69% and 62%, respectively, said the same was true of the work culture in these places. Across all countries surveyed, expats in Norway were found to be “the most likely to see an improvement in their work-life balance”. Based on the survey’s findings, individuals looking for the best employment packages should consider the Middle East, where 91% of expats receive at least one benefit as part of their contract, compared with the global average of 67%. “In the UAE, 56% of expats receive an accommodation allowance and 75% receive health benefits,” the HSBC survey summary reports, while in Bahrain, “65% of expats receive an annual allowance for trips home”. Hong Kong and Singapore topped the rankings in the area of career development, with the majority of expats interviewed in both countries (68% in Hong Kong and 62% in Singapore) saying they’d found their adopted country “a good place for expats to progress their career”, compared with a global average response to the same question of just 43%. However, the survey’s authors noted, this advantage “may come at a cost, as 30% of expats in Singapore and 50% in Hong Kong [reported seeing] a decline in their work-life balance since moving”. Expats living in Asia described their current work as “more fulfilling” than what they did at home to a greater extent than expats living in other regions did. He highlighted an online “Expat Careers tool” HSBC Expat has developed that he says is designed to help expats and would-be expats to find their “ideal destination”. 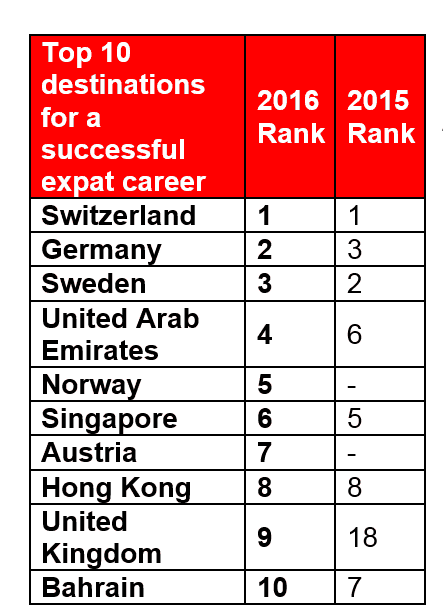 To view the Expat Careers tool on the HSBC website, click here. HSBC Holdings looks after clients from some 4,400 offices in 71 countries and territories in Europe, Asia, North and Latin America, and the Middle East and North Africa. At the end of September it had assets under management of US$2,557bn, making it one of the world’s largest banking groups. HSBC Expat is a trading name of HSBC Bank International, which is based in Jersey and specialises in looking after people who live and work abroad.